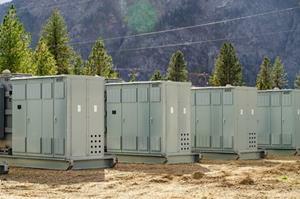 DMG recently energized its 85-megawatt substation at its eastern British Columbia mining facility. In this example of a recent investigation, DMG's Blockseer was used to track stolen cryptocurrency from the $500M NEM hack in Japan. The perpetrators attempted to "wash" the transactions using tumblers, mixers, and other technologies The wallets at the bottom are currently holding the stolen funds. 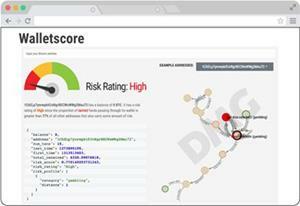 In this screenshot, Walletscore shows a “High Risk Rating” for “1ChELp7ynrwpktFJvRgrBECWxWWg2Mxu72” has a balance of 0 BTC. It has a risk rating of High since the proportion of tainted funds passing through its wallet is greater than 77% of all other addresses that also carry some amount of risk. Thank you for your continued support of DMG. We know this market has been challenging for our industry and our shareholders alike. In an effort to keep our shareholders well-informed, going forward, DMG is publishing a quarterly newsletter highlighting operational activities and key corporate developments, of which this is the first. DMG was founded as a diversified blockchain technology company, with a goal to build the best hosting operations, software analytics tools, and enterprise blockchain platforms in the industry. I believe we are now well on our way to fulfilling these goals, and hopefully this update will provide you with the same confidence in DMG that I have. DMG’s strategy of hosting predominately crypto equipment on behalf of third parties has proven to be a wise one, as most of our competitors spent a great deal of capital on equipment that is quickly nearing the end of its useful life. The crypto market is now readying itself for a new generation of technology that will be shipping soon and DMG is poised to become a preferred hosting location. 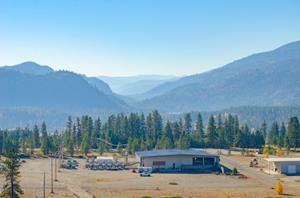 DMG recently energized its 85-megawatt substation at our eastern British Columbia mining facility. DMG is capable of adding approximately 15 megawatts of hosting capacity every 6 - 8 weeks, to a near-term capacity of 60 megawatts under its current power configuration, expandable to 85 megawatts. What does this mean? It means that DMG now has the capacity to host between 40,000 and 50,000 individual ASIC miners, making DMG’s facility one of the largest such facilities in North America. DMG’s existing clients account for about 15 megawatts with approximately half of this having been recently added for a new Mining-as-a-Service (“MaaS”) client. https://globenewswire.com/news-release/2018/12/05/1662453/0/en/DMG-Blockchain-Signs-7-Megawatt-Bitcoin-Mining-Contract.html. A further 15 megawatts is planned for late February, with the remaining 30 megawatts to be energized shortly thereafter. The Company is in discussions with multiple parties to host their mining servers as part of our MaaS offering, and we will update the market if and when we enter into these agreements. Unlike most large operations, DMG wholly owns its new substation, which not only provides our hosting clients with a reliable source of energy, but also enables DMG to purchase power at favourable rates. Furthermore, DMG’s power consumption does not affect the local community’s power quality and availability. DMG charges clients a monthly hosting fee to operate the client’s servers. In some cases we source miners for clients from various manufacturers and resell to our clients at a profit. Operating successful industrial hosting facilities is all about driving efficiencies to minimize power consumption and maximize uptime for client servers. To enable this, DMG recently launched the first version of our proprietary Mine Management software. This real-time platform monitors many key metrics, including temperature, humidity, individual and pooled hash rates, as well as real-time switching and routing, allowing our mining facility staff to make real-time adjustments and repairs. DMG intends to license this software to other industrial miners as well. In early 2018, DMG acquired Datient Inc., a Silicon Valley-based technology company founded and led by Danny Yang, a Stanford PhD in Computer Science and Artificial Intelligence. Tim Eller, our Head of Data Science is a graduate of Harvard and has a PhD in Data Science and Mathematics from UCLA. Tim is also the inventor of Lyft’s advanced surge price algorithm, which was a major innovation for the rideshare industry. The team is comprised of six engineers and is situated in Sunnyvale, CA under the leadership of Danny Yang, DMG’s Chief Technology Officer. Blockseer.com is an analytics tool that enables tracking of cryptocurrencies and transactions on both the Bitcoin and Ethereum blockchains. This technology is currently used by the FBI, IRS, various crypto exchanges, and other law enforcement agencies and industry participants. Until recently this was a tool we offered at no charge, as we were building the deep data analytics engine that now powers both Blockseer and its companion tool, Walletscore. 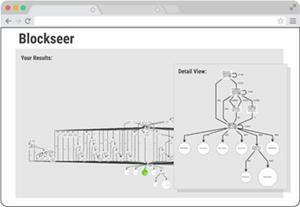 User interaction and labelling, together with our proprietary artificial intelligence algorithms, are how Blockseer has become an essential blockchain investigative tool. With more than 8,000 users/contributors over the past 5 years its core data was built for users by users! DMG’s Blockseer is sold primarily to law enforcement, while our Walletscore product is sold primarily to exchanges and payment platforms. Blockseer is a subscription based product whereas Walletscore is transactionally based. DMG recently partnered with JCIS Japan to begin selling Blockseer and Walletscore to clients throughout Japan. These clients include crypto exchanges, police and law enforcement agencies, as well as other government entities. DMG has always had a focus on the Japanese market, and our first two MaaS clients were Japanese companies. Japan is the first country to regulate bitcoin, Japan frequently leads the world in bitcoin trading volume, and the Japanese population has embraced bitcoin. Tools such as Blockseer and Walletscore are REQUIRED by the Japanese government, and we see huge growth for this class of AML and investigative technology as other governments around the world begin actively regulating their own markets. Japan is just the beginning. In a recent press release DMG announced that it had partnered with IBM to collaborate on building blockchain platforms for supply chain management. IBM is the GLOBAL leader in this technology having built Food Trust with Walmart (Food Safety and Traceability), and TradeLens with Maersk (Global Shipping and Logistics Management), two leaders in their respective industries. Simply put, partnering with IBM strengthens DMG’s efforts and provides real-world enterprise-level experience in blockchain technology and systems integration. Wazabi, the result of more than two years of market research and industry discussion, is a blockchain-based platform to manage the cannabis supply chain and regulatory compliance on a global scale. Bitcoin was the “FIRST” use of blockchain technology, but the “PERFECT” use case is supply chain management of controlled products. Blockchain technology will transform many industries, but due to the need to integrate with existing legacy systems, these changes will take years. As the cannabis industry is very new and therefore not tied to legacy systems, implementation of supply chain management systems utilizing blockchain technology can happen much faster. The cannabis industry needs immediate traceability, which is exactly what blockchain provides. DMG is currently assembling a consortium of industry stakeholders, including licensed producers, retailers, testing facilities, and government, who will collaborate to ensure that Wazabi meets the needs of each specific participant in the entire supply chain. The intention is to build Wazabi so that the platform seamlessly integrates with existing ERP and other software systems already deployed and in use. By Spring 2019 the beta version will be released with additional functionality added to the platform over time. We are tremendously excited about being a founding partner in the Wazabi consortium, and the future revenue potential that should result from the deployment of this technology solution. Enabling consumers to see exactly which licensed producer grew or processed their products, when it was grown, etc. In late 2018 the Company also changed its auditor. Effective November 1, 2018, Charlton & Company LLP ("Charlton" or the "Former Auditor") was terminated and MNP LLP (“MNP” or the "Successor Auditor") was appointed. The resignation of Charlton and the appointment of MNP have been approved by the Company’s Board of Directors. None of the reports of Charlton on any of the Company’s financial statements relating to the “relevant period” (as such term is defined in section 4.11(1) of NI 51-102) expressed a modified opinion. There has not been a “reportable event” (as such term is defined in section 4.11(1) of NI 51-102), which occurred in connection with the audit of the predecessor company for the financial year ended March 31, 2017 and of the Company for the financial year ended September 30, 2017 , or for any period subsequent thereto. I once again thank you for your continued support. I hope that this provides you with increased clarity on the Company’s efforts and confidence that DMG is achieving the goals we initially set. About DMG Blockchain Solutions Inc.
DMG Blockchain Solutions Inc. is a diversified blockchain and cryptocurrency company that manages, operates and develops end-to-end solutions to monetize the blockchain ecosystem. DMG, with its Blockseer division located in Silicon Valley, intends to be the global leader in industrial scale crypto mine hosting – Mining as a Service (MaaS), crypto mining, blockchain forensics/analytics, and blockchain platform development. This news release contains forward-looking information based on current expectations. Statements about the Company’s plans and intentions, other potential transactions, product development, events, acquiring new customers, courses of action, and the potential of the Company’s technology and operations, among others, are all forward-looking information. Forward-looking statements consist of statements that are not purely historical, including any statements regarding beliefs, plans, expectations or intentions regarding the future. Such information can generally be identified by the use of forwarding looking wording such as “may”, “expect”, “estimate”, “anticipate”, “intend”, “believe” and “continue” or the negative thereof or similar variations. The reader is cautioned that assumptions used in the preparation of any forward-looking information may prove to be incorrect. Events or circumstances may cause actual results to differ materially from those predicted, as a result of numerous known and unknown risks, uncertainties, and other factors, many of which are beyond the control of the Company, including but not limited to, business, economic and capital market conditions; the ability to manage operating expenses, which may adversely affect the Company’s financial condition; the ability to remain competitive as other better financed competitors develop and release competitive products; regulatory uncertainties; access to equipment; market conditions and the demand and pricing for products; the demand and pricing of bitcoins; security threats, including a loss/theft of DMG’s bitcoins; DMG’s relationships with its customers, distributors and business partners; the inability to add more power to DMG’s facilities; DMG’s ability to successfully define, design and release new products in a timely manner that meet customers’ needs; the ability to attract, retain and motivate qualified personnel; competition in the industry; the impact of technology changes on the products and industry; failure to develop new and innovative products; the ability to successfully maintain and enforce our intellectual property rights and defend third-party claims of infringement of their intellectual property rights; the impact of intellectual property litigation that could materially and adversely affect the business; the ability to manage working capital; and the dependence on key personnel. DMG may not actually achieve its plans, projections, or expectations. Such statements and information are based on numerous assumptions regarding present and future business strategies and the environment in which the Company will operate in the future, including the demand for its products, the ability to successfully develop software, that there will be no regulation or law that will prevent the Company from operating its business, anticipated costs, the ability to achieve goals and the price of bitcoin. Given these risks, uncertainties and assumptions, you should not place undue reliance on these forward-looking statements. Factors that could cause the actual results to differ materially from those in forward-looking statements include, failure to obtain regulatory approval, the continued availability of capital and financing, equipment failures, lack of supply of equipment, power and infrastructure, failure to obtain any permits required to operate the business, the impact of technology changes on the industry, competition, security threats including stolen bitcoins from DMG or its customers, consumer sentiment towards DMG’s products, services and blockchain technology generally, pricing of cryptocurrencies, failure to develop new and innovative products, litigation, increase in operating costs, increase in equipment and labor costs, failure of counterparties to perform their contractual obligations, government regulations, loss of key employees and consultants, and general economic, market or business conditions. Forward-looking statements contained in this news release are expressly qualified by this cautionary statement. The reader is cautioned not to place undue reliance on any forward-looking information. Neither the TSX Venture Exchange nor its Regulation Service Provider (as that term is defined in the policies of the TSX Venture Exchange) accepts responsibility for the adequacy or accuracy of this news release.